Through continuous research, disease-prevention is slowly heading in the right direction. Advancements in both science and medicine have altered the way that human diseases function. Clinical tests and methods continue to be performed under stressful conditions in order for there to be a positive breakthrough. Utilizing a modified oligo is one way to fight against diseases such as cancer. 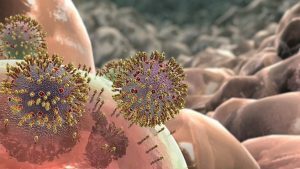 In order for viral cells to be detected, a molecular beacon probe is used as an indicator to determine what type of disease the human body is suffering from. Think of it as a fluorescent indicator. The beacon is comprised of a stem, a couple of arms, and a fluorescent and nonfluorescent moiety attached to each other. The stem hybrid prevents the fluorescence from occurring prior to being utilized. Once the probe encounters a molecule that could potentially be viral, then it pulls apart the arms forcing the beacon to fluoresce. The power of the molecular beacon lies with one factor, the hybridization. Only through target sequences that complement each other fully, will there be different colored fluorophores and detect anomalies within a test tube. Many times molecular beacons are synthesized from oligonucleotides through the process oligo synthesis. Being as versatile as they are, oligonucleotides continue to play a factor in not only the assessment of diseases but also for preventative measurements. Their capabilities are continuing to be utilized more. It has shown through two FDA-approved medicine types. Their widespread utility has been followed by aggressive clinical tests and will continue to advance to where someday a beneficial cure will be created that will withstand the limitations of today’s challenges. Guided by their commitment to quality, The Midland Certified Reagent Company has designed and built DNA synthesizers that produce oligonucleotides of higher sequence fidelity than any instruments commercially available today.